Welcome to Bahoukas Antique Mall and Beer MuZeum! 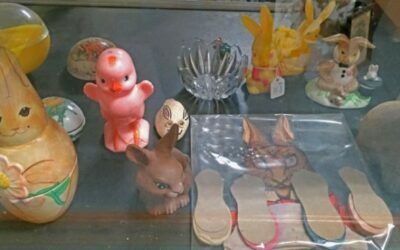 Collectible Easter Bunnies in assorted sizes discovered on a shelf at Bahoukas Antique Mall in Havre de Grace – just in time for Easter Sunday! 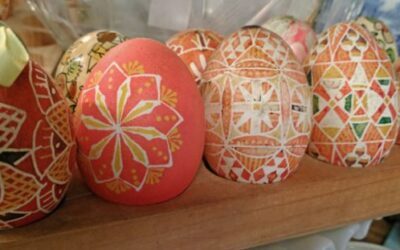 Bahoukas has a beautiful selection of pysanky decorated eggs in time for Easter. Stop in at our Havre de Grace store soon! In a circa 1880 historic building – fitting for antiques – BAHOUKAS Antique Mall and Beer MuZeum offers nearly 9,000 sq ft of retail space. But be forewarned… this is NOT your typical antiques store! 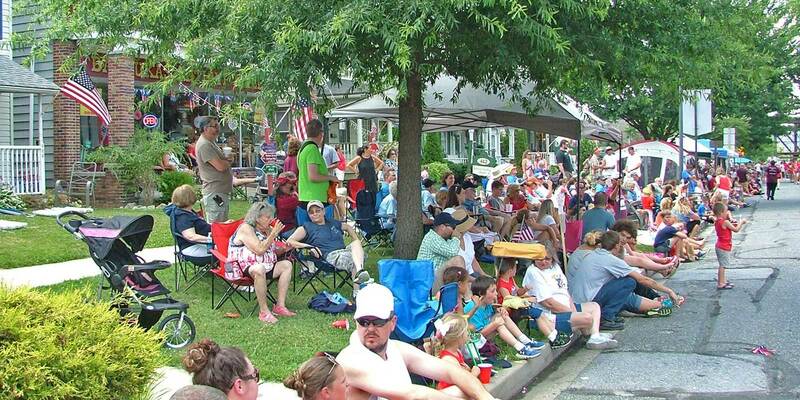 Havre de Grace loves their Independence Celebration and BAHOUKAS Antique Mall and Beer MuZeum enthusiastically joins in! BAHOUKAS Antique Mall offers 9000 sq. ft. of beautiful antiques and collections. With a variety of individual vendor spaces, the diversity is outstanding. BAHOUKAS Beer MuZeum offers 2200 sq. ft. of fantastica BrewMania on the second floor. You’ll never see such a sight anywhere! The area’s largest collection of beer and alcohol related items. A must see! Great gifts for that ManCave!!! 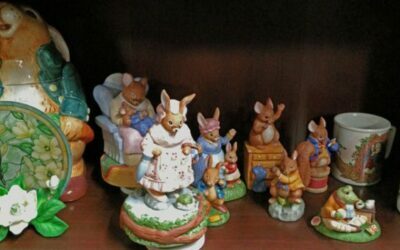 Whatever your collecting, we probably have an item waiting just for you! From comics to Disney, jewelry to phonograph records and everything in between…. stop in and check out BAHOUKAS for yourself! BAHOUKAS offers a diverse assortment of furniture from antiques to more recent years (you know, when avocado was the ‘in’ color). Whether you’re looking for an antique table or an old chest that you can paint yourself, we have it! Sports Memorabilia is one of our favorite collectibles. From sports cards to photos and more… you’ll find some interesting items for your own collection or to give as a gift. Stop in and ask, George knows exactly where it is! Next to the amazing Beer MuZeum, BAHOUKAS offers a wide range of toys including Hess trucks, board games, Star Wars, and more! We’re sure you’ll find a toy that you’ll remember from your childhood. Stop in and see! 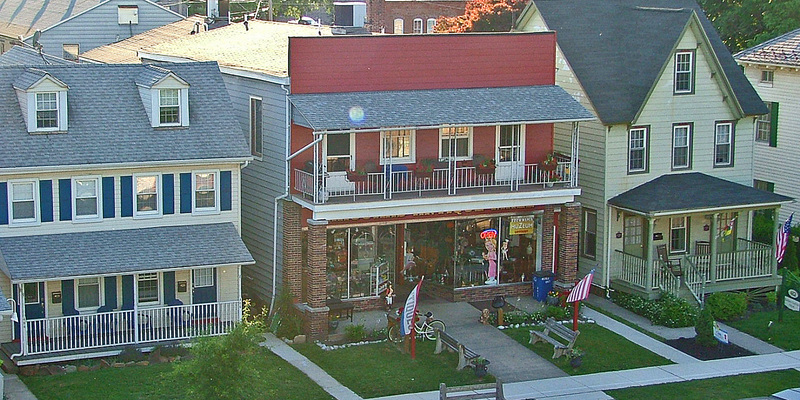 Visit BAHOUKAS in historic, downtown Havre de Grace!